The terms civil service and public service seem to refer to very similar concepts but there is a significant difference between the two. 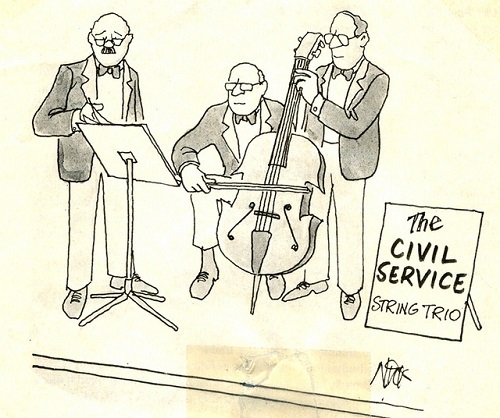 Civil service is performed by a civil servant, a bureaucrat hired by the country’s government who works for the public sector; conversely, public service is performed by a public servant, a person appointed by a member of the government to serve the population and perform public duties. Civil servants are top ranked employees who work in various government’s departments and offices and whose duties vary according to their role and position. Public servants are not has high ranked and provide basic services to the population and to the most needy segments of society. Civil servants are bureaucrat who need to be familiar with the country’s laws and regulations, and who must act in order to promote the highest interests of the country and of its citizens. Civil service allows the government to provide basic services to all citizens and to run efficiently all its various departments. Aside from the members of the just mentioned official bodies, public servants are not necessarily skilled or qualified individuals. In fact, they can perform various tasks – including volunteering – that do not require particular abilities but that fall within the services offered to the citizens by the government. Such services should be available to all persons under the government’s jurisdiction, including the neediest individuals. Civil service and public service aim at making the country (any country) a better place, at promoting the image of the state within and outside its borders, and at improving general living conditions of the population. 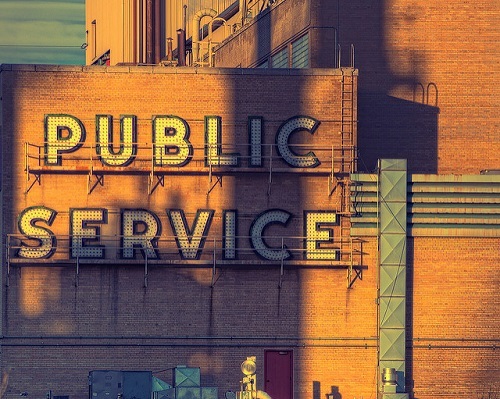 What is the Difference between Civil Service and Public Service? Civil service is performed by the most skilled individuals who obtain their job by passing several tests and exams and are only appointed on merit. Conversely, public service can obtain their job by passing tests and interviews even if they do not have relevant educational or professional qualifications. Building on the differences outlined and analyzed in the previous section, we can identify few other aspects that differentiate civil service from public service. Salary and responsibilities Civil servants earn high salaries and have more responsibilities than public servants. Civil servants can become heads of key governmental departments and have a significant impact on the ways in which policies are implemented. Public servants may or may not have good salaries and they have generally less responsibilities than civil servants. Performing public service, in particular services for the neediest persons, can be done on a voluntary basis. Financing Civil service is always financed by the central government and is publicly regulated. The government appoints the best candidates in its various departments; as such, civil servants can work in various ministries, governmental agencies and international governmental organizations (i.e. embassies, consulates, etc.) Public service is not always financed by the central government. Indeed, in most cases the government allocates funds to provide basic services to all citizens, but public service can also be performed by privates and can be done on a voluntary basis. Civil service and public service are services provided by the government to all citizens and to all individuals under the government’s jurisdiction. Civil service is performed by the highest skilled individuals who have the responsibility of implementing public policies, of providing services to the public and of serving the interests of the country. Conversely, public service is performed by individuals who do not need to be highly qualified and can be done on a voluntary basis. Civil servants include members of the government, members of various government’s department and members of embassies and consulates. Public servants include firefighters and police officers, but also volunteers and privates that provide services to the community and to the neediest segments of society. Giulia Squadrin. "Difference Between Civil Service and Public Service." DifferenceBetween.net. June 15, 2018 < http://www.differencebetween.net/miscellaneous/politics/difference-between-civil-service-and-public-service/ >. Great explanation on the difference of these two. Mosher, Frederick C. Democracy and the public service. Oxford University Press on Demand, 1982. Perry, James L., and Lois Recascino Wise. "The motivational bases of public service." Public administration review (1990): 367-373.